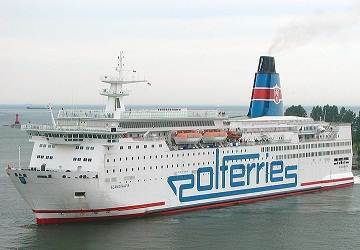 Polferries, also known as the Polish Baltic Shipping Company, runs ferry routes between Poland and Scandinavia. 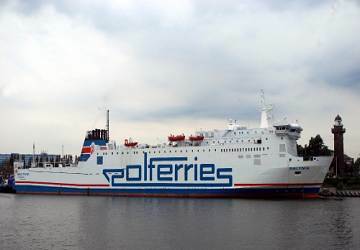 Now the largest ferry operator in Poland, Polferries was set up in 1976 as a state-owned shipping company, with terminals in Swinoujscie and Gdansk. Sailing to Ystad in southern Sweden over a dozen times weekly, this route represents a convenient and affordable way of reaching the Danish capital, Copenhagen, lying just ninety two kilometres to the west. Furthermore, the second route, docking in Nynashamn, takes you just sixty kilometres south of Stockholm. 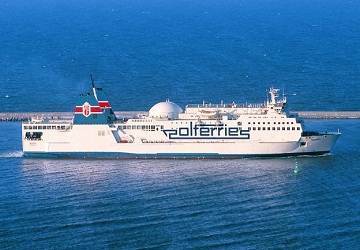 Built in Sweden, the Polferries ships have excellent on-board facilities and feature all the usual amenities expected of an international ferry company, guaranteeing an enjoyable trip across the Baltic Sea. M/V Baltivia began sailing in Polferries colours in 2007, having undergone a complete refurbishment five years previously. M/F Wawel can accommodate a thousand passengers, featuring newly designed cabins, a cinema and a conference room. Finally, M/F Mazovia was purchased in 2014 when it was totally rebuilt, resulting in additional accommodation options and top-of-the-range catering areas. View Polferries timetables, prices and book Polferries ferry tickets with directferries.co.uk. Looking for an alternative route or ferry company to fit your plans? Don’t worry, we’ll also compare Polferries with alternative ferry companies in your search to help you choose. "Nice ferry, good food, good service!"